The Panasonic Lumix GH5S Micro Four Thirds Camera boasts most everything there is to love about the GH5 but includes essential features aimed at videographers. 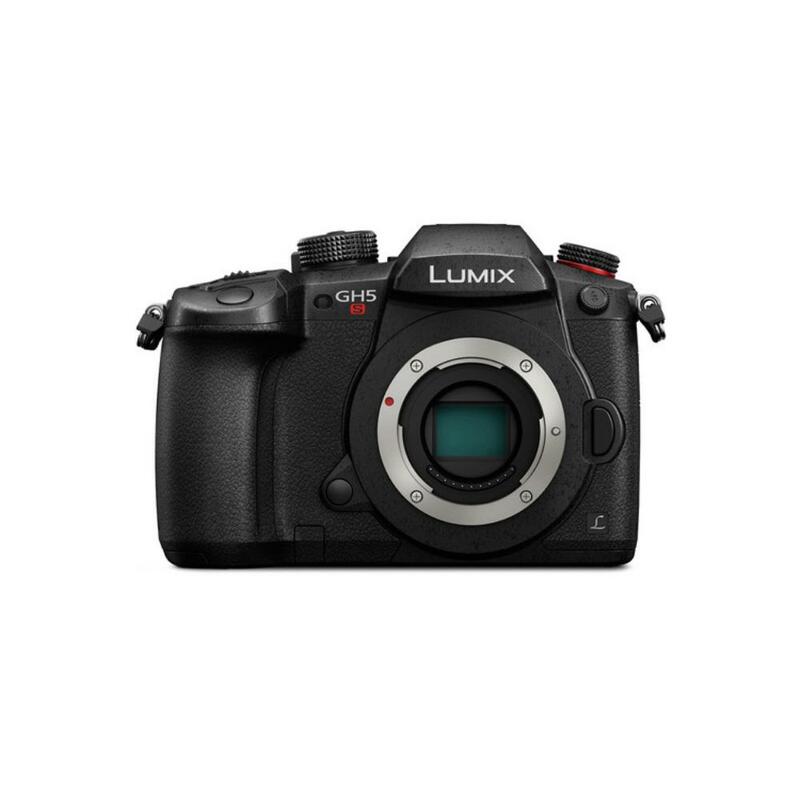 The GH5S is capable of unlimited internal capture of 4:2:2 10-bit C4K video recording plus the ability to simultaneously feed 4:2:2 10-bit out through the full size HDMI port to an external recorder (rentable separately). Variable frame rate options have also been expanded with a maximum of 240 FPS in Full HD and 60 FPS in DCI and UHD 4K, allowing for up to 10x slow motion footage. The GH5S is equipped with the Dual Native ISO feature found in professional cameras like the Varicam and the EVA1, which allows the sensor to either maximize dynamic range or maximize noise performance so that you can choose the right setting for your particular shooting situation. The sensor overall gathers more than two times the amount of light over the original GH5 sensor and will deliver cleaner imagery in the upper ISO ranges. Shooters will also enjoy pre-installed V-Log L, making color grading easier, increasing dynamic range to 12 stops, and providing the sensitivity characteristics of Cineon. This offers exceptional flexibility in post production. Upload your preferred LUTs via an SD card (not included) and not only preview grading corrections to a live preview but also to playback footage. Other professional-grade tools include timecode input (via the flash sync terminal), Waveform, a line level mic input toggle, Vector Scopes, and programmable Zebra patterns. Scene visibility gets a boost, too, with a super high-resolution OLED Live View Finder with 0.76x magnification and virtually no lag even when shooting at 120 FPS. The sensor's Multi Aspect design allows for working in Anamorphic Mode so that you can maintain your lens' native angle of view even when changing image formats (lenses are rentable separately). By starting with a higher native resolution sensor that's larger than the Micro Four Thirds image circle, the GH5S can crop to different aspect ratios (like 3:2, 16:9, or 17:9) without any change in quality thanks to access to the full sensor without needing to crop any further into that image circle. Rolling shutter has been reduced by about 25% in the GH5S, thanks in part to a sacrifice in overall resolution that uses larger pixels, which helps produce a very fast readout. This also reduces the risk of any video moiré or other unwanted artifacts. 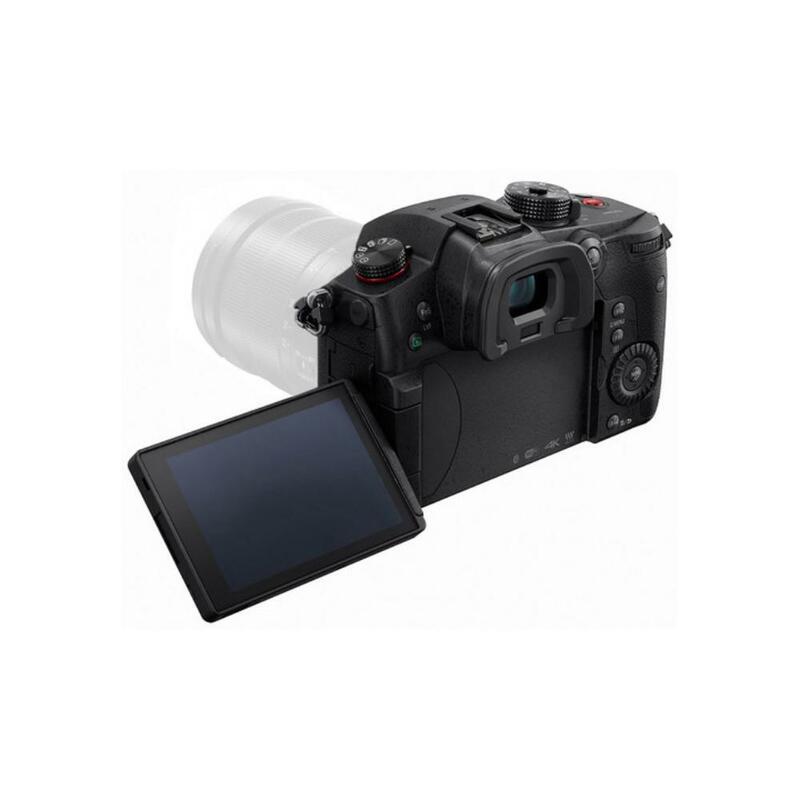 Image stabilization is not included (side from a digital IS that makes a very slight crop to remove appearance of shake, or aside from using an IS-equipped lens, which is not included). The removal of built-in sensor IS allows for no chance of interference with external support systems (such as gimbals, rentable separately), plus the oversized sensor needed the extra space that IBIS normally takes up. If you need built-in 5-axis sensor stabilization, please see the GH5. The GH5S marks a new era for the GH series that emphasizes video performance while maintaining an ultra portable form factor. It also maintains the ability to shoot high quality RAW stills. It is ideal for those seeking some of the professional qualities of the Varicam and the EVA1 but in a portable and more affordable package that can support the needs of event, narrative, and documentary shooters without giving up the needs of event photographers, making the GH5S the ultimate multidisciplinary camera. The BNC conversion cable (for Time Code In/Out only) is not included. If you need this conversion cable, you may select it via dropdown at checkout. Please note that attachment of this cable requires the complete removal of the flash synchro socket cap. Loss of this little cap may result in a fee! IMPORTANT: Do not connect an external flash to the flash synchro socket after selecting TC Output in the Time Code settings of the GH5S. Doing so may cause a malfunction. • UHS-II SD memory cards are not included with this rental and are rentable separately. 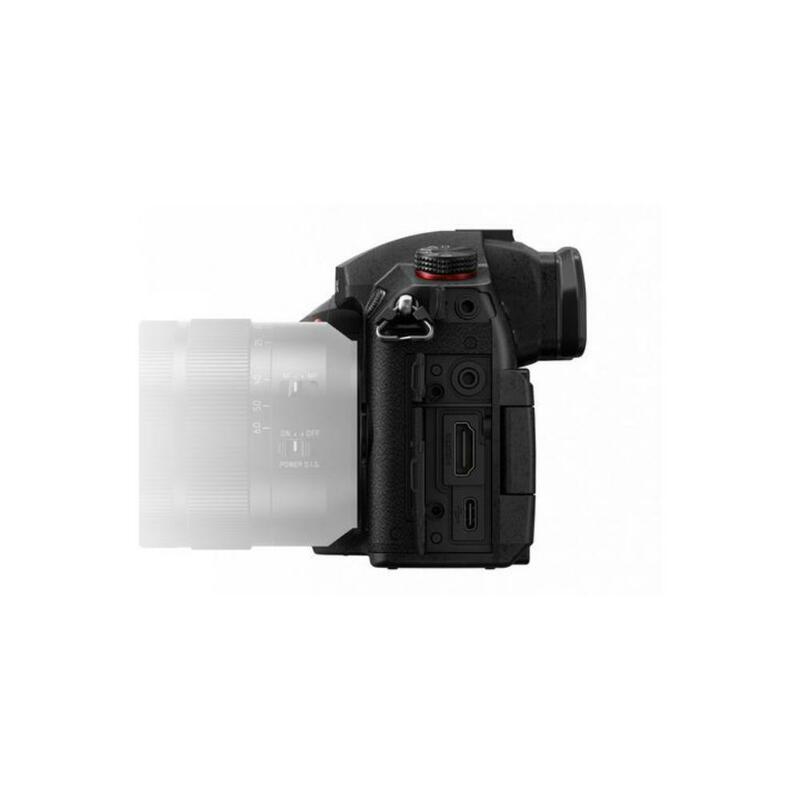 • Micro Four Thirds mount lenses are not included with this rental and are rentable separately. • Four Thirds mount lenses are not compatible with this camera. • If you are going to be recording in 4K you will need UHS-II SD cards rated at Video Speed Class 60 or higher. • Panasonic V-Log L Function (DMW-SFU1) included.